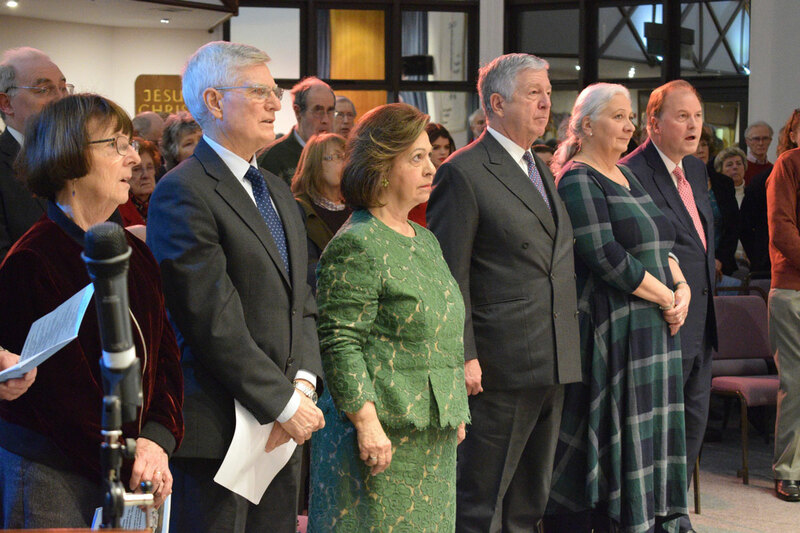 Their Royal Highnesses Crown Prince Alexander and Crown Princess Katherine attend the traditional humanitarian concert at Fairfield Evangelical Church in Northwood Hills near London where funds were successfully raised for a new ambulance for the Special Hospital Ozren in Sokobanja. Dr. Elaine Laycock who is the Medical Advisor to Lifeline Humanitarian Organization United Kingdom (whose patron is HRH Crown Princess Katherine) opened the charity concert and welcomed Their Royal Highnesses. Musical programme that followed included Anna Wilcox, Nick Aston, Gareth Jones, Chen Wang, Hope Kneller, Mike Kneller and Holy Joes. Before the charity concert, the Royal couple also has tea at Moor Park Golf Club with the musicians and families involved in a concert and thank them for the twenty-five years of support. Special Hospital Ozren in Sokobanja deals with the treatment of lung and eye diseases. The hospital is ninety years old and in dire need of many things. Lifeline Chicago Humanitarian Organization whose patron is HRH Crown Princess Katherine, already provided new beds and bedding, and this charity is the continuation of the humanitarian project. Dr. Elaine Laycock expressed her hope to deliver the ambulance and a new bronchoscope to the hospital in April 2018 when she will visit Serbia, together with Dr. Julia Palmer. HRH Crown Princess Katherine and Dr. Elaine Laycock have been working together since 2001 on many projects including Kulina Institute where a Family Unit was established to prepare handicapped children to be trained to leave hospital, for the first time. Also, Toponica Special Psychiatric Hospital projects included a new dental surgery, new geriatric ward, new acute medical ward, and two ambulances. There have been three kindergartens opened by HRH Crown Princess Katherine in Toponica, Matejevac and Bela Palanka with the equipment provided by Dr Laycock. 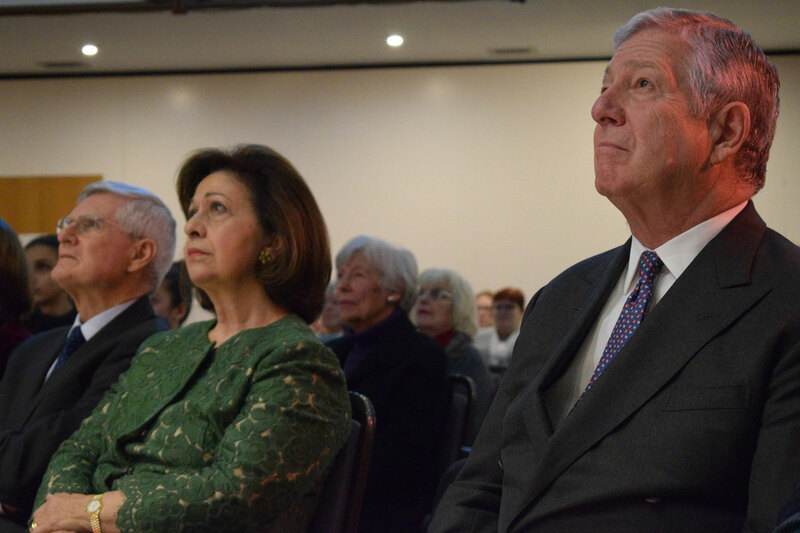 HRH Crown Princess Katherine and Dr. Laycock have also been heavily involved in introducing palliative care to Serbia, the first in-patient unit “The Princess Katherine Palliative Care Centre” was opened by Her Royal Highness at Knez Selo in 2013. Last year, in 2017, TRH Crown Prince Alexander and Crown Princess Katherine visited London to thank donors for their support and the traditional concert raised money for an ambulance for Toponica Hospital, equipment, air conditioners and a protective fence round the playground at Bela Palanka. Their visit was warmly welcomed by a full church on each occasion. The Church in Northwood Hills was reconsecrated and the stained glass windows designed by Stuart Laycock were provided.